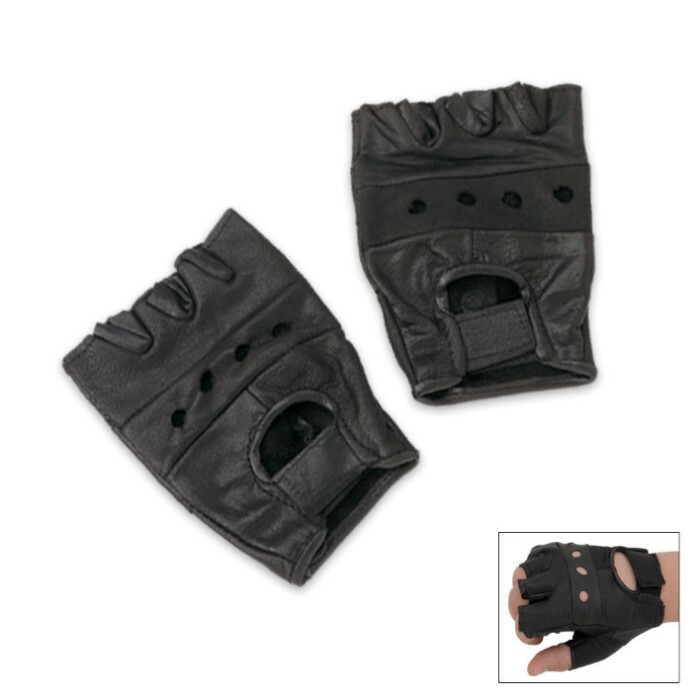 Fingerless Leather Gloves | BUDK.com - Knives & Swords At The Lowest Prices! Check out these fingerless leather gloves, great for all those bikers out there! They have a comfortable interior lining and Velcro closure.